The Pennsylvania Superior Court has just decided the case of Commonwealth v. Moyer, upholding the defendant’s conviction and state prison sentence for Homicide By Vehicle, Recklessly Endangering Another Person (“REAP”), and Driving Under the Influence (“DUI”). On appeal, Moyer challenged the sufficiency of the evidence against her as well as the admissibility of the blood results for the DUI charge under Birchfield v. North Dakota. Unfortunately for Moyer, the Superior Court held both that the Commonwealth produced sufficient evidence to convict the defendant of homicide by vehicle and that the Birchfield claim that police should have obtained a warrant prior to the blood draw was waived for failure to raise the issue prior to or during trial. In Moyer, the record showed that the defendant approached a stop sign at an intersection which she had driven through on many prior occasions. The defendant failed to come to a complete stop at the intersection. She characterized the stop as a “rolling stop,” but the trial court found that she had traveled through the intersection at around twelve miles per hour and had not attempted to activate her brakes prior to the ensuing collision. As she went through the intersection, a box truck crashed into her car, crossed the double yellow line, and then crashed into a tow truck, killing the driver of the box truck. The evidence produced at trial also suggested that it would be difficult to see traffic coming from the side due to the presence of a building at the edge of the intersection. Moyer was arrested and charged with Homicide by Vehicle, REAP, Homicide by Vehicle while DUI, DUI, and various summary offenses relating to reckless driving. The jury convicted her of homicide by vehicle and REAP, but it acquitted her of Homicide by Vehicle while DUI because the levels of marijuana and Xanax in her system were extremely low and unlikely to cause actual impairment or inability to drive. The trial court found her guilty of DUI and the summary traffic offenses. Notably, there is no right to a jury trial for a first-offense DUI charge or for summary traffic offenses. Therefore, the jury decided whether to convict on the more serious judges, and the trial judge made the ruling on the DUI and summaries. Moyer raised two issues on appeal. First, she challenged the use of the blood results against her because police had warned her that she would face more severe criminal penalties if she refused to consent to chemical testing in violation of Birchfield v. North Dakota. In Birchfield, the United States Supreme Court held that states many not criminalize the refusal to submit to warrantless blood testing even where police have probable cause to believe that the driver was driving under the influence. However, Birchfield, was decided after the defendant was convicted in the trial court. Although she sought a new trial by filing post-sentence motions prior to taking the appeal, the trial court denied the post-sentence motions. The Superior Court upheld the trial court’s decision, agreeing that Birchfield is not retroactive and that the defendant should have known the case was on appeal in the United States Supreme Court and raised the issue prior to trial in order to preserve it for appeal. Pennsylvania’s appellate waiver doctrine is extremely demanding. If claims are not properly preserved by filing motions or objections at the trial level, those claims may be waived forever. Any person who recklessly or with gross negligence causes the death of another person while engaged in the violation of any law of this Commonwealth or municipal ordinance applying to the operation or use of a vehicle or to the regulation of traffic exception section 3802 (relating to driving under influence of alcohol or controlled substance) is guilty of homicide by vehicle, a felony of the third degree, when the violation is the cause of death. A person acts recklessly with respect to a material element of an offense when he consciously disregards a substantial and unjustifiable risk that the material element exists or will result from his conduct. The risk must be of such a nature and degree that, considering the nature and intent of the actor’s conduct and the circumstances known to him, its disregard involves a gross deviation from the standard of conduct that a reasonable person would observe in the actor’s situation. The statute may also be satisfied by a showing of gross negligence. Gross negligence is more than ordinary civil negligence. Instead, it requires that the defendant’s conduct “evidenced a conscious disregard of the substantial and unjustified risk that he would be involved in a traffic accident causing death.” Accordingly, appellate courts have equated gross negligence with recklessness. The Superior Court rejected Moyer’s argument that she had not acted recklessly. Although the small amounts of marijuana and Xanax in her system had likely not caused the accident, the Court found that her failure to stop at the intersection as required by Pennsylvania’s traffic laws was reckless enough to support a conviction for Homicide by Vehicle. First, the Court found that traveling at twelve miles per hour is different than simply failing to come to a complete stop and “rolling” through an intersection. Second, the Court noted that the stop sign preceded a busy intersection and that a building obscured the view of one lane of the cross traffic. Third, the Court considered the fact that the evidence showed Moyer had failed to brake prior to the collision. Finally, the Court recognized that Moyer was familiar with the intersection and had driven through it numerous times. Therefore, she should have known the risks of driving through it without stopping. Although the decedent failed to wear a seatbelt and was driving with his passenger door open, the Court still found that it was Moyer’s reckless conduct that caused his death. Therefore, the Court upheld the convictions against Moyer. Homicide by Vehicle charges are extremely serious, and there are often defenses to these charges. In general, it is not enough for the Commonwealth merely to show that there was a car accident and someone died. Instead, the Commonwealth must show that the defendant acted with more than just negligence; that is that the defendant acted recklessly, which is more difficult to show. Here, the evidence showed that the defendant was traveling twelve miles per hour into a busy intersection without stopping, which apparently satisfied the standard. In many cases, it may be possible to challenge Homicide by Vehicle charges both by attacking the prosecution’s proof as it relates to the defendant’s mens rea and by challenging whether the defendant’s actions actually caused the death of the victim. If you are facing criminal charges, we can help. 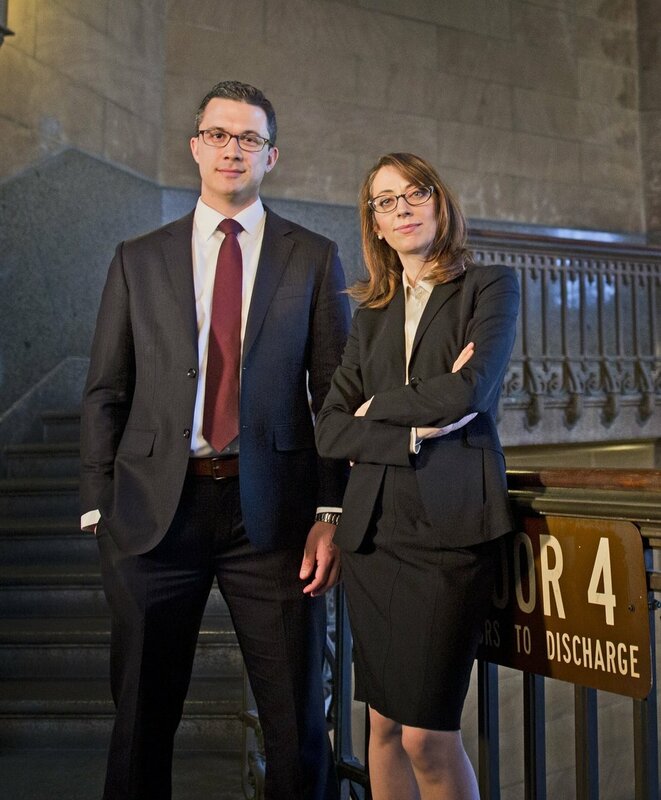 Our award-winning Philadelphia criminal defense lawyers have successfully defended thousands of cases. Call 267-225-2545 for a free criminal defense strategy session.